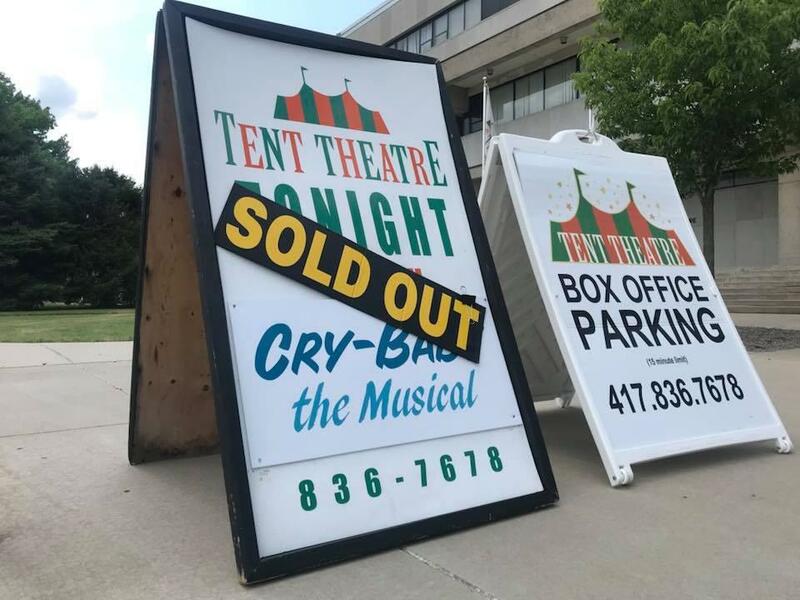 This summer's season of Tent Theatre kicked off with "Cry-Baby, The Musical." The tent is up on the Missouri State University campus, which means one thing: it's time for Tent Theatre. In this month's episode of "Engaging the Community," MSU president Clif Smart talks with KSMU's Jennifer Moore about the significance of the Tent Theatre productions—on both the local arts scene, and in terms of the local economy. To hear the KSMU interview with Clif Smart, click "Play" above. "It is really one of the signature programs where we’re engaged in the community here in the arts field," said Smart. This is the production's 56th year, he said, and three different shows are presented each summer to sold-out audiences. "We seat about 400 under the tent," Smart said. There's an option for theatre-goers to RSVP for a picnic dinner beforehand. "You think back on the people like John Goodman and Kathleen Turner and others that have started their careers through this. That’s continued through the years with lesser known folks that are now on Broadway and other places," Smart said. About a decade ago, Tent Theatre changed from an all-college actor production to an actor's equity theatre. That means some of the performers under the tent come from the professional theatre world, including from both coasts. All performances begin promptly at 8:00 PM under the tent outside MSU's Craig Hall. “The university is a huge driver of bringing in concerts, both at the [Juanita K. Hammons] Hall and at JQH Arena. We have our Broadway series that just wrapped up this year. There convocation speakers and other kind of high profile events. All of our sporting teams, you know from baseball to football to basketball and volleyball," Smart said. All of those events connect the university to the community, and they act as an economic boost, Smart said. "We just finished up a two week run of Phantom [of the Opera]. And people paid the university—and this is not counting hotels and going to other attractions and going out to eat, et cetera—people paid $1.8 million to see Phantom,” Smart said. That includes ticket sales, refreshments, and parking to see the production, he said. "And so that money, you know, rotates through the community multiple times. And so the arts, and the university connected to the arts, is a big driver of our economy in southwest Missouri and in Springfield,” Smart said.